I started my bookkeeping service in 2001 as an opportunity to continue my passion with entrepreneurs. Having been an entrepreneur for 15 years myself, it just seemed natural to continue working in an entrepreneurial industry. I love working with numbers and love helping businesses with good bookkeeping advice. I have continuously upgraded my skills to offer the best advice I can to clients. Since establishing Ledger Lady, I have worked with exceptional small business owners and managers, representing a variety of industries. I have worked with them by providing bookkeeping services, consulting with staff and training. Early in my career, I became a Sage Partner to offer my clients an improved service with the best accounting software programs available. I am now a Certified Professional Bookkeeper through the Institute of Professional Bookkeepers of Canada and I am a Sage Accountants Network Premier Advisor. From running my own business and working with other companies, experience has taught me how important it is to know your financial position, and to be able to rely on the people tasked with maintaining your finances. A smart team is necessary to building a strong business. My passion is to help people understand their bookkeeping and financial position. I love to offer great service and to work with businesses to help them earn the profits they deserve. You get what you give in life which is why I work so proudly to make a difference in the lives of people I work with. Helping others is the only way to work in life. I love working with business owners and helping them improve their business with positive financial advice and assistance. Judy is a Certified Professional Bookkeeper through the Institute of Professional Bookkeepers of Canada and is a Sage Accountants Network Premier Advisor. Adhere to the IPBC Code of Professional Conduct. Judy maintains her certification in order to ensure she stays current with the latest bookkeeping knowledge. 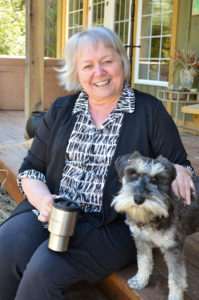 While obtaining certification as a Certified Professional Bookkeeper is optional, Judy feels it is an important part of her professional service. Individuals can be members of the Institute of Professional Bookkeepers of Canada without pursuing the additional certification. Ledger Lady uses Sage products to deliver quality bookkeeping for clients. As a member of the Sage Accountants Network, Judy and her staff have access to resources and support available to professional accountants and bookkeepers in the Sage network. This is a network of 25,000 worldwide.